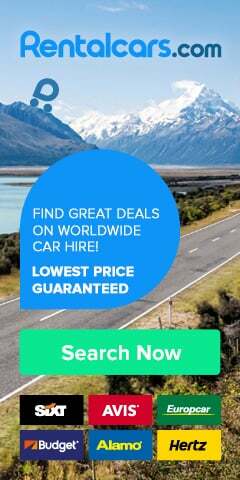 If you are travelling to Dubrovnik by car or if you've rented a car to explore the city then parking is one of the factors that you'll need to consider. Parking in Dubrovnik can be frustrating during summer season and it may be hard to find a parking space. So if you are staying at private accommodation we suggest you to check with the owner if they will secure you parking space, especially if you will be located near the Old Town. Parking areas are divided in five different zones: Zone 0, Zone 1, Zone 2, Zone 3 and Zone 4. You can pay for the parking by parking ticket, which are available from newsagents, shops, or through parking meters dotted around the city or by paying via your mobile phone. The exact change is required at the parking meters and the ticket should be displayed on your windscreen. If you wish to pay by mobile phone then you need to send an SMS message to the number displayed on the parking sign nearest you. You need to send your number plate and to either 708200, 708201, 708202, 708203 depending on the zone in which you are parked. You will receive a return message from the phone operator and also be advised that your hour’s parking is running out five minutes before with another SMS message. If you either park in the wrong place or don’t pay for parking a tow away vehicle will take your car to the local lot. There is a fine for parking without paying as well as a much larger fine if you are towed away. public garage on Ilijina Glavica. You can find parking spaces along the roads close to the Old Town (Zagrebacka street, Petra Kresimira IV or Frana Supila). If you don't want to drive around and look for a free space there are several public parking lots close to the Old Town. The closest but the most expensive is the one next to the Pile Gate (1 hour - 40 HRK). The other one is just above the city walls below Cable car embarkation station (1 hour - 20 HRK). 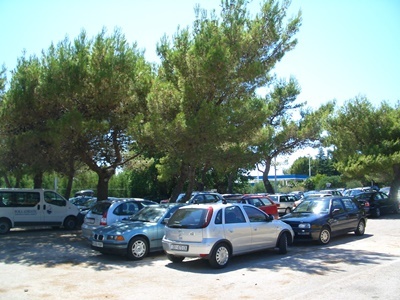 Another parking lot is Gradac just across Lovrijenac fortress. You need to pass the Hilton Hotel, take a left turn and drive up the small street until you reach the parking (1 hours - 20 HRK). For those who cannot find a spot on the street or who plan to park for an extended period of time, the city operates an underground parking garage located about 10 minutes' walking distance to the Old Town. For detailed info on parking in Dubrovnik visit Sanitat web site. Located at address Zagrebačka ulica bb, at around a five minute walk from the historic centre is a public garage. Even during the summer months there tends to be space in this garage and as it is underground you are guaranteed your car is protected from the elements. The multi story parking has 711 spaces and is located on the Ilijina Glavica Street. If you are driving from the main coastal road you turn left towards the city. It's located on the right side of the road you use when you drive towards the city center, at the spot where the road towards the Old Town becomes a one lane, one way street. If you are going to visit Old Town, you can take stairs through the Baltazar Bogisic park just below the garage. It will take you less then 10 minutes to reach Pile Gate entrance (but a bit more when going back).